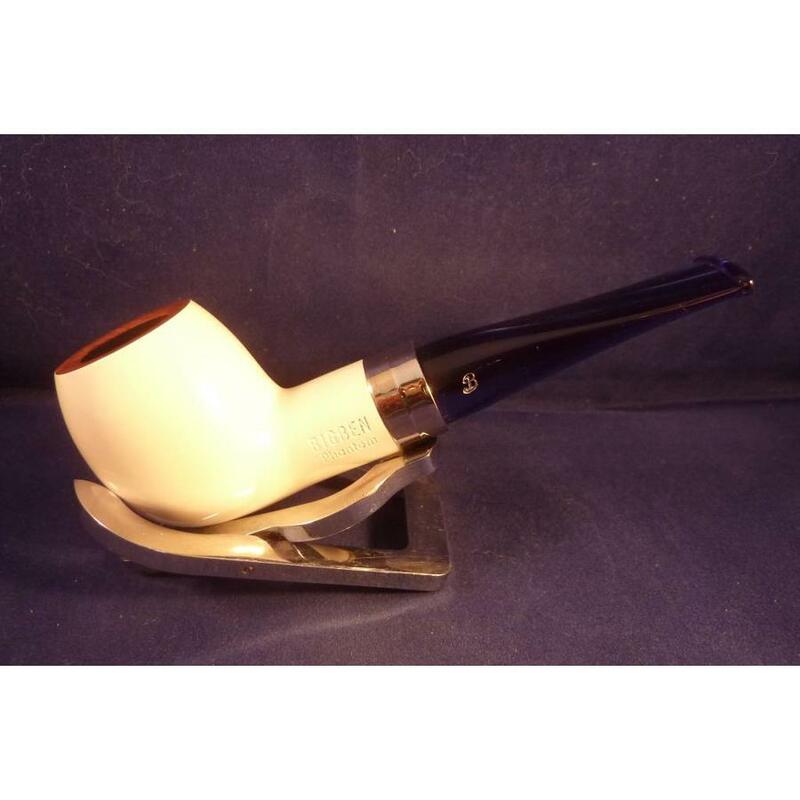 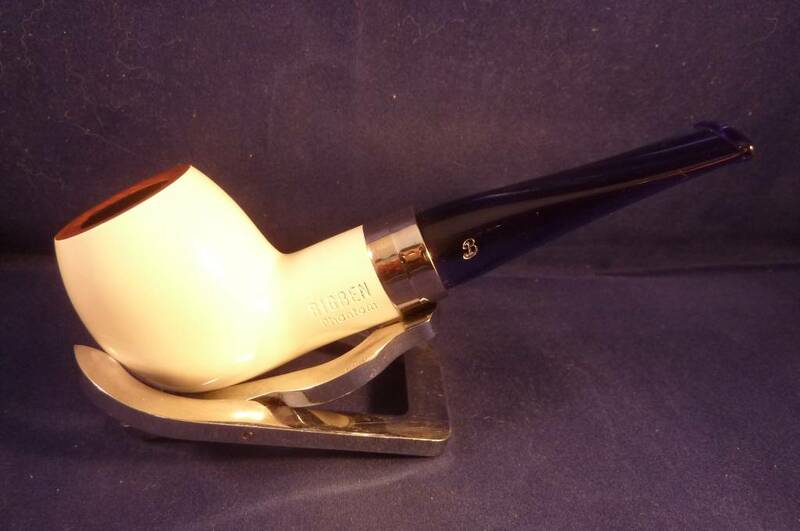 Kleine glanzende witte bruyere tabakspijp afgewerkt met een metalen ring met schitterend blauw mondstuk. 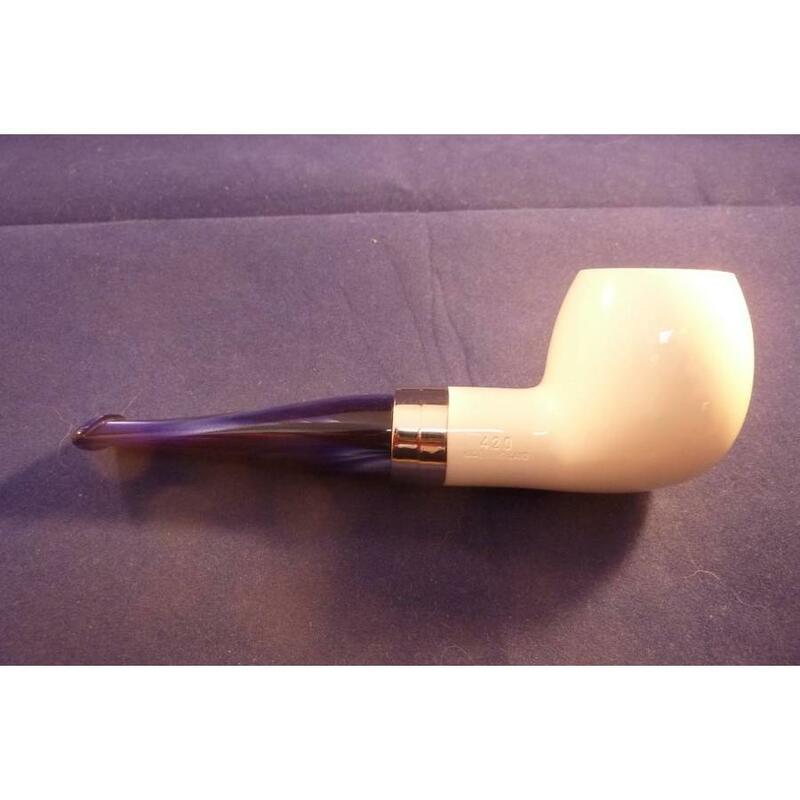 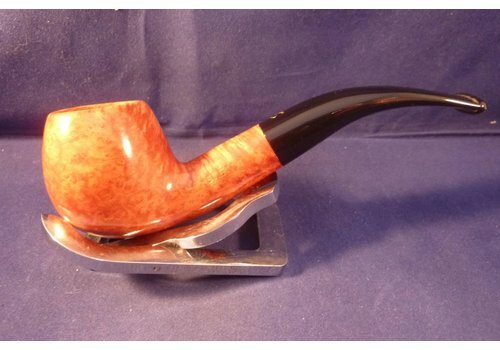 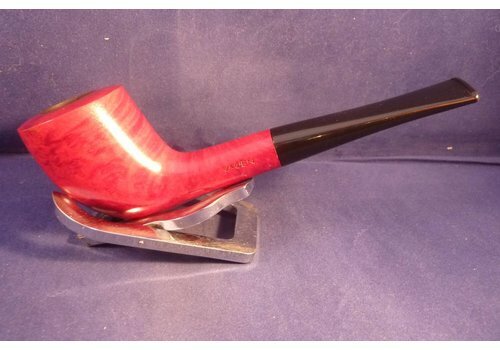 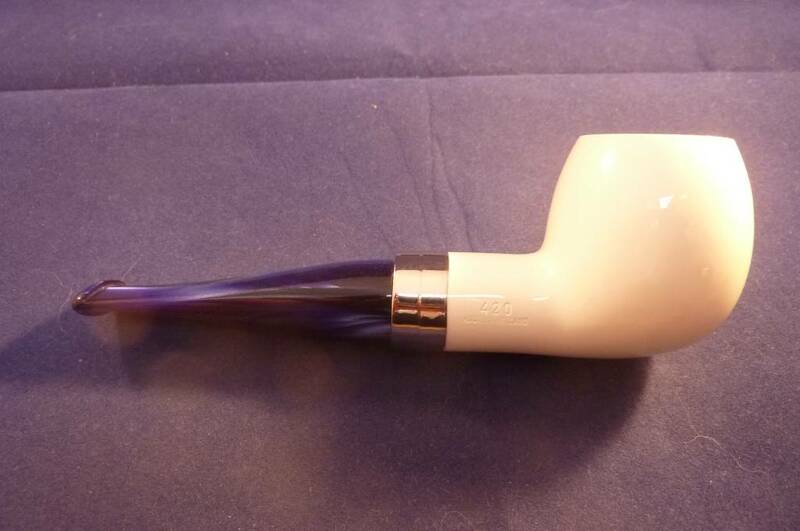 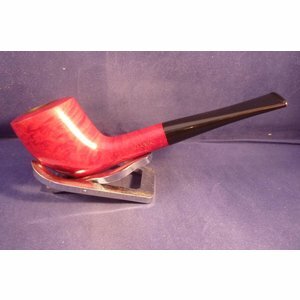 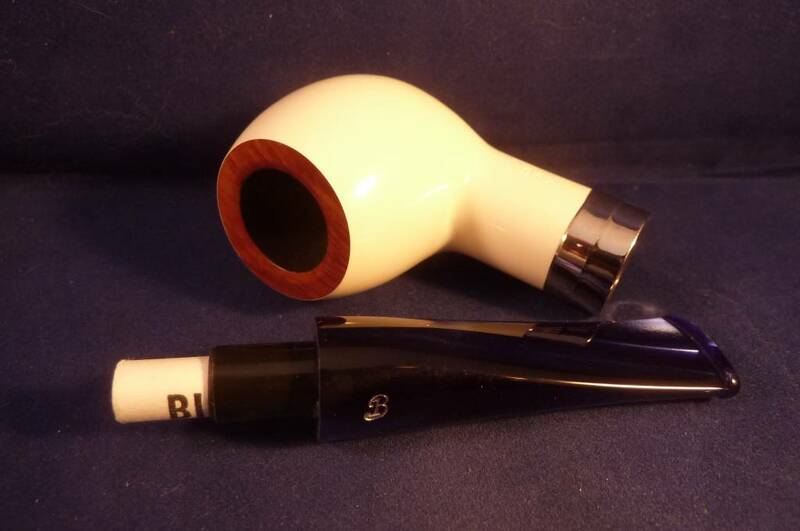 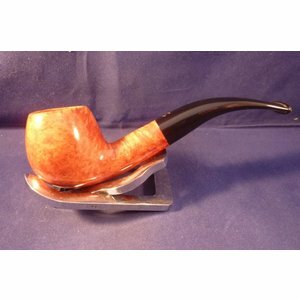 Smooth briar pipe with natural brown colours made in the Netherlands by Gubbels. 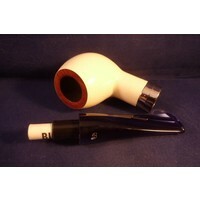 Acrylic mouthpiece with silver, red and black coloured rings, 9 mm. filters..